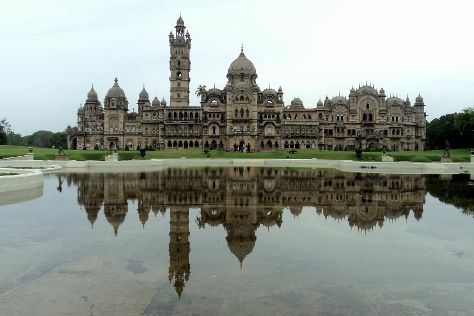 Vadodara is known for historic sites, parks, nature, museums, and shopping. Your plan includes some of its best attractions: step into the grandiose world of Lukshmi Vilas Palace, see the interesting displays at Baroda Museum And Picture Gallery, explore the activities along Sursagar Lake, and buy something for everyone on your list at Inorbit Mall Vadodara. For maps, reviews, more things to do, and other tourist information, you can read our Vadodara online holiday builder . New Delhi to Vadodara is an approximately 3-hour flight. You can also do a combination of flight and bus; or drive. Wrap up your sightseeing on the 30th (Sat) early enough to take a train to Surat. Explore the numerous day-trip ideas around Surat: Bharuch (Shri Swaminarayan Mandir, Shri Munisuvrat Swami Jain Temple, Bharuch, & more) and Desai Atash Bahram (in Navsari). Spend the 31st (Sun) exploring nature at Althan National Park. There's much more to do: buy something for everyone on your list at VR Surat, don't miss a visit to Siddhi Viniek Mandir, browse the collection at Kavi Narmad Central Library, and take in the spiritual surroundings of ISKCON Temple. To see more things to do, reviews, ratings, and more tourist information, read Surat day trip website . Take a train from Vadodara to Surat in 1.5 hours. Alternatively, you can drive; or take a bus. Finish your sightseeing early on the 3rd (Wed) to allow enough time to travel to Bhavnagar. Bhavnagar is a city in the Bhavnagar district of the Saurashtra region of the Gujarat state of India. On the 4th (Thu), tour the pleasant surroundings at Victoria Park, get lost in a book at Barton Library, then take in the spiritual surroundings of Takhteshwar Temple, then take in the spiritual surroundings of Sampriti Raja Temple, and finally contemplate in the serene atmosphere at Shri Adishwar Temple. Keep things going the next day: take in the spiritual surroundings of Kumar Pal Temple, don't miss a visit to Aksharwadi Temple, then contemplate in the serene atmosphere at Khodiyar Mandir, and finally take in the spiritual surroundings of Nishkalang Mahadev Temple. To see other places to visit, where to stay, ratings, and tourist information, you can read our Bhavnagar itinerary planner . You can drive from Surat to Bhavnagar in 7.5 hours. In April, plan for daily highs up to 44°C, and evening lows to 28°C. Finish your sightseeing early on the 5th (Fri) to allow enough time to travel to Rajkot. You'll find plenty of places to visit near Rajkot: Chotila (in Surendranagar) and Gondal (Shri Ramanath Dham & Shri Swaminarayan Mandir). The adventure continues: contemplate in the serene atmosphere at Shri Ramakrishna Ashrama, explore and take pictures at Saurashtra Cricket Association Stadium, make a trip to The Royal Garages, and admire nature's wide array of creatures at Pradyuman Park. To see photos, traveler tips, and other tourist information, go to the Rajkot trip itinerary planner . Getting from Bhavnagar to Rajkot by car takes about 4 hours. In April in Rajkot, expect temperatures between 46°C during the day and 27°C at night. Wrap up your sightseeing on the 9th (Tue) to allow time to travel to Junagadh. 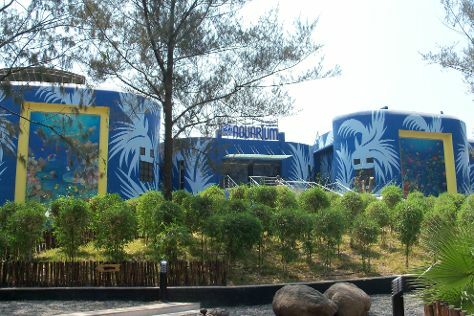 When in Junagadh, make a side trip to see Devalia Safari Park in Sasan Gir, approximately 1h 20 min away. There's much more to do: look for all kinds of wild species at Gir National Park and Wildlife Sanctuary, explore the ancient world of Girnar Temples, take in the awesome beauty at Girnar, and take in the spiritual surroundings of Neminath Jain Mandir. To see maps, reviews, other places to visit, and other tourist information, use the Junagadh day trip planning app . Getting from Rajkot to Junagadh by car takes about 2.5 hours. In April, daytime highs in Junagadh are 46°C, while nighttime lows are 27°C. Finish your sightseeing early on the 13th (Sat) to allow enough time to travel to Somnath. Start off your visit on the 14th (Sun): contemplate in the serene atmosphere at Panch Pandava Gufa or Hinglaj Mataji Gufa, don't miss a visit to Gita Mandir, don't miss a visit to Triveni Sangam, then contemplate in the serene atmosphere at Laxmi Narayan Mandir, then contemplate in the serene atmosphere at Somnath Mahadev Temple, and finally make a trip to Prabhas Patan Museum. Here are some ideas for day two: contemplate in the serene atmosphere at Dehotsarg Teerth, contemplate in the serene atmosphere at Bhalka Tirth, contemplate in the serene atmosphere at Shree Parshuram Temple, then enjoy the sand and surf at Veraval Beach, and finally contemplate in the serene atmosphere at Kamnath Mahadev Temple. To find more things to do, ratings, where to stay, and more tourist information, read our Somnath online vacation planner . You can drive from Junagadh to Somnath in 2 hours. Finish your sightseeing early on the 15th (Mon) so you can travel to Porbandar. Porbandar is a coastal city in the Indian state of Gujarat, perhaps best known for being the birthplace of Mahatma Gandhi and Sudama (friend of Lord Krishna). Porbandar is known for historic sites, beaches, parks, and nature. Your plan includes some of its best attractions: contemplate the long history of Kirti Mandir Temple, admire the striking features of Jadeshwar Temple, contemplate in the serene atmosphere at Harsiddhi Mataji Temple, and enjoy the sand and surf at Rangbai Beach. To find traveler tips, other places to visit, maps, and more tourist information, use the Porbandar vacation planner. Traveling by car from Somnath to Porbandar takes 3 hours. Expect a daytime high around 39°C in April, and nighttime lows around 27°C. Wrap up your sightseeing on the 18th (Thu) early enough to travel to Dwarka. On the 19th (Fri), visit a coastal fixture at Dwarka Lighthouse, don't miss a visit to Dwarkadhish Temple, make a trip to Shri Swaminarayan Mandir, Dwarka, then don't miss a visit to Siddheshwar Mahadev Mandir, then contemplate in the serene atmosphere at Gita Mandir Temple, and finally contemplate in the serene atmosphere at ISKCON Dwarka Temple. Here are some ideas for day two: take in the spiritual surroundings of Bhadkeshwar Mahadev Temple, take in the spiritual surroundings of Rukshamanee Mandir, don't miss a visit to Sudama Setu (Sudama Bridge), then tour the pleasant surroundings at Gomti Ghat, then contemplate in the serene atmosphere at Nageshwar Shiva Temple, and finally take in the spiritual surroundings of Nageshwar Jyotirlinga Temple. To see traveler tips, where to stay, ratings, and tourist information, use the Dwarka trip planning website . Traveling by car from Porbandar to Dwarka takes 2.5 hours. 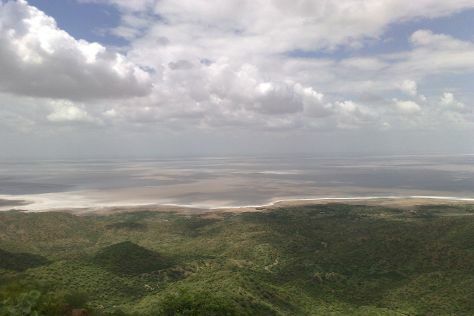 Cap off your sightseeing on the 20th (Sat) early enough to travel to Kutch. Start off your visit on the 21st (Sun): appreciate the history behind Shyamji Krishna Varma Smarak, make a trip to Tera Fort, and then contemplate the waterfront views at Great Rann of Kutch. Get ready for a full day of sightseeing on the next day: contemplate in the serene atmosphere at Koteshwar Mahadev Temple, look for all kinds of wild species at Anchorwala Ahinsha Dham, then make a trip to Kala Dungar, then explore the historical opulence of Roha Fort, and finally make a trip to Kandla Port. To find ratings, maps, more things to do, and other tourist information, read Kutch online itinerary maker . Traveling by car from Dwarka to Kutch takes 8.5 hours. In April in Kutch, expect temperatures between 45°C during the day and 27°C at night. Cap off your sightseeing on the 22nd (Mon) early enough to travel to Bhuj. Bhuj is known for nature, historic sites, museums, parks, and shopping. Your plan includes some of its best attractions: admire nature's extreme beauty at White Desert, see the interesting displays at Kutch Museum, take in the spiritual surroundings of Siddha Shree Dhoramnath Monastery, and make a trip to Shri Krishna Pranami Tempal. For photos, maps, reviews, and other tourist information, read Bhuj trip planner . You can drive from Kutch to Bhuj in 2 hours. In April in Bhuj, expect temperatures between 45°C during the day and 27°C at night. Cap off your sightseeing on the 25th (Thu) early enough to travel to Modhera. On the 26th (Fri), contemplate in the serene atmosphere at Maatangi Modheshwari Temple and then steep yourself in history at Modhera Sun Temple. To find traveler tips, reviews, maps, and tourist information, you can read our Modhera online road trip planner . Drive from Bhuj to Modhera in 6 hours. April in Modhera sees daily highs of 46°C and lows of 28°C at night. Wrap up your sightseeing by early afternoon on the 26th (Fri) to allow time for travel to Ahmedabad. Explore the numerous day-trip ideas around Ahmedabad: Gandhinagar (Capital Complex & Adalaj Trimandir). The adventure continues: steep yourself in history at Sabarmati Ashram / Mahatma Gandhi's Home, admire the striking features of Adalaj Stepwell, contemplate the waterfront views at Kankaria Lake, and take in the waterfront at Sabarmati Riverfront. To see more things to do, maps, ratings, and more tourist information, go to the Ahmedabad travel route site . Traveling by car from Modhera to Ahmedabad takes 2.5 hours. In April, plan for daily highs up to 46°C, and evening lows to 28°C. Wrap up your sightseeing by early afternoon on the 2nd (Thu) to allow enough time to travel back home.